No one is allowed within five miles of the house. That’s Annabelle’s only way to keep the secret that her mom is an extreme hoarder from her friends. Annabelle has learned to hide from the mess, but when her mom and dad have a heated argument and divorce may be looming in the future, something must be done to clean up the house and their lives, but it’s not that simple. Dad runs away. Neat-freak Grandma Nora shows up and starts tearing through the house. And Annabelle has a huge crush on Drew, but if he finds out the truth about her family life, he won’t be interested. Everything is spiraling out of control! Unless Annabelle’s mom can throw away the moldy milk cartons and everything else, their family will fall apart. 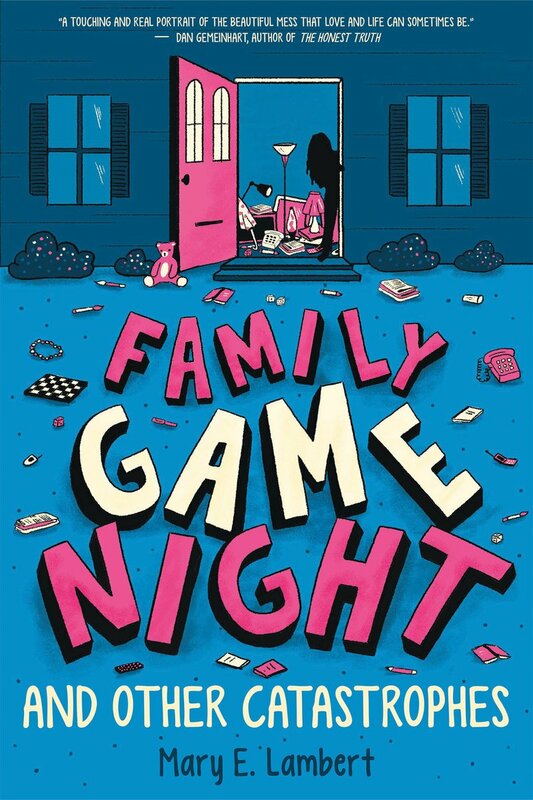 In Family Game Night and Other Catastrophes, author Mary E. Lambert takes an interesting spin on coping with family problems. Although the hoarding situation is a little extreme, Lambert shows her readers a dysfunctional family that needs help. Over the course of the novel, Annabelle shifts from hiding from her problems to taking an active role in helping her family. This book is silly and at times sad, but it connects with readers in a deep and meaningful way. Everyone is ashamed of something, but Lambert shows that it’s okay to be broken. As Annabelle accepts this over the course of the novel, readers can be comforted seeing that no one is perfect. Lambert’s novel is also impactful because she helps readers recognize that they, like Annabelle, have the power to change. No matter how many milk cartons are shoved in the pantry or towels are piled on the couch, things, like life, can always be tidied up.